There is no such thing as a typical piano student. No perfect piano students. There isn’t even a “right kind” of piano student. Each one different, special, just the right kind. Each and every student will behave in inconsistent ways. On some days, your student Sasha will be delightful. Some days she will be a challenge. Sometimes she will amuse you with her humor. Others days she may not smile. ABC: All Behavior is Communication. There is no judgment in this question. It’s simple and clear. Sasha is doing something that makes sense to her body at this place and time. Why? This is when it gets interesting. The ABC’s of All Behavior is Communication also have a D.
It stands for Detective. This is the role you have the privilege of playing. You must be the Detective who solves the mystery of why Sasha is facing away from you and playing with the pencil. You can call your friends and commiserate about the lousy children of today. This will guarantee you a life of misery as you find more and more of these poorly behaved, rotten children filling up your afternoons. Or, you can do the far more interesting detective work of finding out what her behavior means. Is she frustrated? Confused? Anxious? Overwhelmed? Hungry? Does she even understand the question you just asked her? Is she trying to distract you so that you won’t notice she doesn’t understand something? Is she having trouble understanding the words you’re using? Does she do better when you do physical learning using things like magnets, white boards and puzzle erasers? Me? I love being the Detective. I savor the thrill of unlocking a series of behaviors that don’t make sense to me. There’s a reason Sasha is doing what she’s doing. It's like she's speaking in code and I need to find the key. It would be an amazing world if a child could say, "I am feeling somewhat anxious when I hear you ask me a question too quickly using an overabundance of jargon. Because of this, I find it difficult to concentrate on your actual question and also, I don't like your perfume." Unfortunately, kids don't come into the world with those skills. We, as the responsible adults, have to help them unlock their own personal code so they can become the best learners they can be. The next time your student Tom climbs off the bench and hides under it what will your response be? Will you dismiss him as a badly behaved child? Or will you become a Detective? 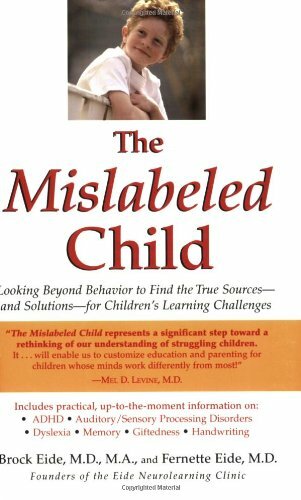 If you'd like to find out more about learning differences, I highly recommend the book The Mislabeled Child. It's a brilliant guide to the basics of learning differences and would be helpful to any parent or teacher.